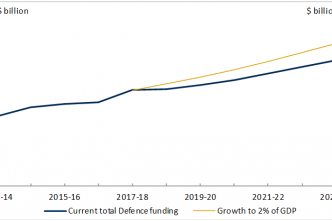 A lot has happened since September 2013 when Tony Abbott promised to boost defence spending to 2% of GDP ‘within a decade’. 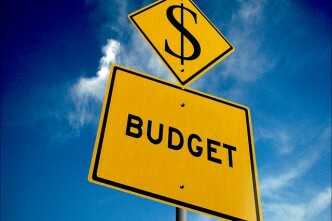 The economic outlook has deteriorated, government revenues have fallen, and the Senate—like many in the electorate—has rejected key elements of the government’s first budget. 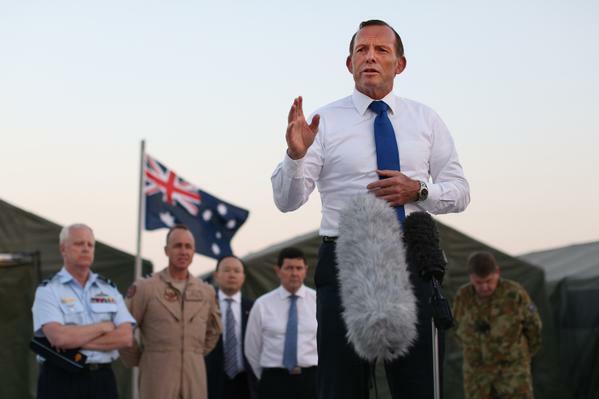 And in what feels like Groundhog Day, we’ve lost yet another defence minister and almost lost another prime minister. None of that bodes well for the 2% promise. The government is being squeezed on two fronts. A deterioration in Australia’s terms of trade and other adverse economic developments have cut projected revenues by $37.8 billion (here and henceforth, all figures are over 4 years). To make matters worse, negotiations in the Senate have lead to $7.2 billion of additional spending and $3.4 billion of foregone savings due to delays. If that weren’t enough, there’s a further $34 billion in savings stalled in the upper house. In an attempt to rein in the burgeoning deficit, the government introduced $4.1 billion of belt-tightening measures late last year, including a $3.7 billion cut to foreign aid. The bottom line is hardly encouraging; between May and December the forecast deficit over the next four years grew by $44.3 billion. And unless the Senate promptly passes the $34 billion in stalled savings measures, further hits to the budget will follow. Add to that the increasingly gloomy economic outlook, and the prospect of returning to surplus this decade looks unlikely. 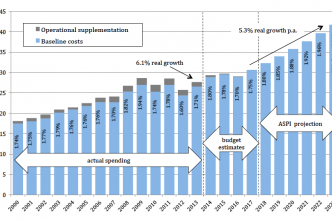 Just as fiscal pressures have grown, so to have political pressures. The electorate is restive and volatile. The extraordinary success of minor parties in the 2013 election reflected diminishing faith in and allegiance to the major parties. Consistent with that, voters at the state and federal level have been willing to redirect their support dramatically in recent times. Consider Queensland, in 2012 the Bligh government suffered a swing against it of 15.6%, three years later the Newman government suffered an adverse swing of 8.2%. While there’s no escaping the conclusion that the electorate is responding to the performance of government (as it should), other factors are at play. For example, technology and commercial pressures have created a 24-hours news cycle of unprecedented ferocity. A larger problem—in my view—is that the electorate is yet to adjust to the new economic reality. During the latter years of the Howard government the resource boom provided the government with windfall revenues year after year. The government was in the happy position of dividing up an expanding pie to grateful voters. Income tax fell, transfer payments grew, and Defence got so much money that they literally handed some of it back unspent. Even when the financial crisis hit, Keynesian ‘pump priming’ ensured that few people felt hard done by. Fast-forward to 2015, and the bill has arrived. While the Howard government had the happy task of spreading joy, the sombre responsibility of government today is to share pain. While there’s more to be done to boost productivity and enhance the efficiency of service delivery, the books won’t be balanced without substantive belt-tightening. With the electorate barely weaned off the resource boom, it’s a hard sell. 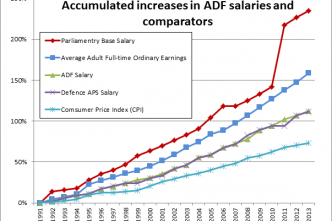 So what does this have to do with the plan to boost defence spending to 2% of GDP? Put simply, every extra dollar spent on defence requires some combination of higher taxes, increased debt and diminished government services. With the fiscal outlook deteriorating and the electorate voicing its impatience, the task of elevating defence spending to 2% of GDP is getting harder by the day. Absent an international crisis to demonstrate the risks Australia faces, sustained increases to defence spending will be feasible only if the government makes the case. To date, that’s not occurred. Indeed, even during the election campaign the 2% target was used as little more than a totem. Others have explained why 2% of GDP is a poor basis for defence funding, but it would indeed be a wondrous coincidence if the risks Australia faces could be efficiently mitigated with 2% of GDP—not one cent more or one cent less. Nonetheless, there’s one sense in which the 2% promise matters a lot: in terms of being taken seriously by other countries and in particular our ally the United States. 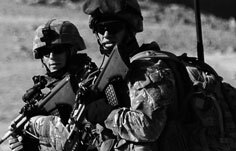 The Rudd government’s 2009 Defence White Paper set out an expansive vision of a larger and more capable ADF, but successive cuts to defence funding made the plan laughable. Regrettably, the 2013 White paper did nothing to rectify the sorry situation. We talked big and then failed to deliver. Here’s the problem. If the Abbott government ditches the 2% promise, we’ll once again look like blowhards who don’t take national defence seriously. Mark Thomson is senior analyst for defence economics at ASPI. Image courtesy of Twitter user @TonyAbbottMHR. 2% - can we, should we, will we?